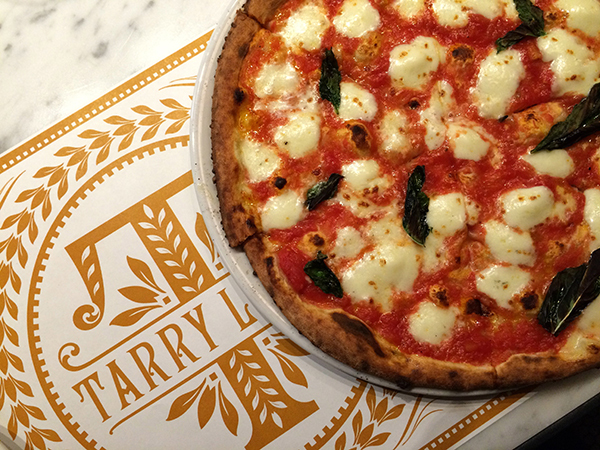 We snagged an early reservation at Tarry Lodge, Mario Batali’s new pizza and pasta place on Park Street. And lucky we did, because the room was packed, with a line out the door by 6pm. Pizza is a big draw here – a wood fired oven churns out fresh pies in 90 second intervals, and yes, they are awesomely good. But what won me over was a simple plate of whole branzino, filleted (nary a bone) and offered up with grilled fennel and lemon jam. A mountain of shaved kale studded with pomegranate seeds and tossed with pistachio vinaigrette was an inspired combo, but be forewarned, it’s plenty for two. And who can resist a sausage, pepper and onion sub, elevated here with entirely housemade ingredients? Not us. We did not save room for dessert but ordered it anyhow, and you must, too. 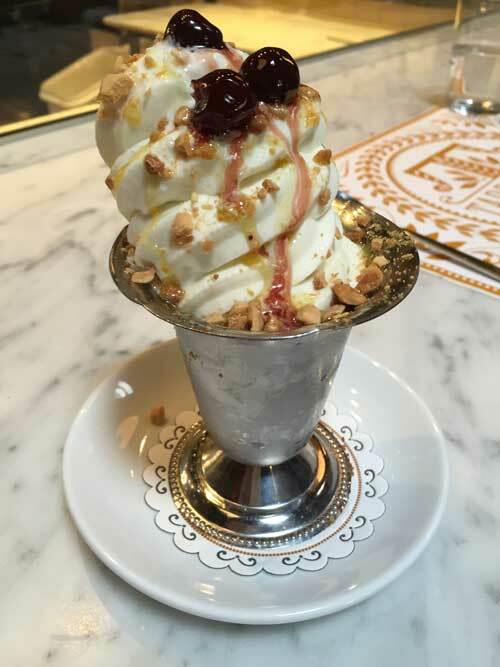 Do NOT miss the ice cream sundae: soft custard in a Valrhona chocolate and olive oil twist topped with amarena cherries and syrup. On week one, we were charmed by the astonishingly good service and well-trained team, and a general feeling of abbondanza. Make reservations.